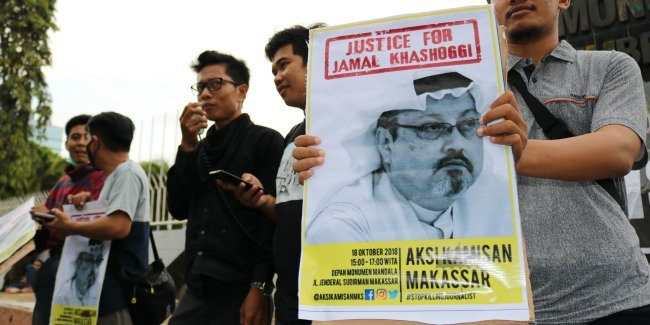 In an extraordinary statement from the White House today, marked by exclamation points, exaggerated claims about Saudi investment, and an open disdain for human rights, President Trump made clear that his administration will turn a blind eye to the state-sponsored murder of a journalist. Trump said explicitly that he did not care whether Saudi Crown Prince Mohammed bin Salman was responsible for the brutal killing last month of Jamal Khashoggi, a Virginia resident and Washington Post columnist: “It could very well be that the Crown Prince had knowledge of this tragic event—maybe he did and maybe he didn’t!” He effectively dismissed the assessment of own intelligence agencies, which have concluded that Prince Mohammad ordered the killings. This betrayal of human rights and American values is why the Authors Guild and PEN America are calling upon the United Nations to launch an independent investigation. You can read our open letter here.